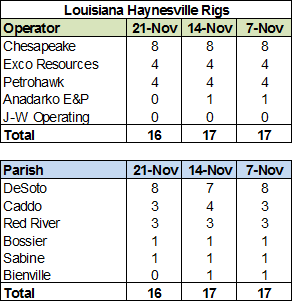 The Haynesville Shale rig count was unchanged at 22. Louisiana was down one to 16, while Texas was up one to six. 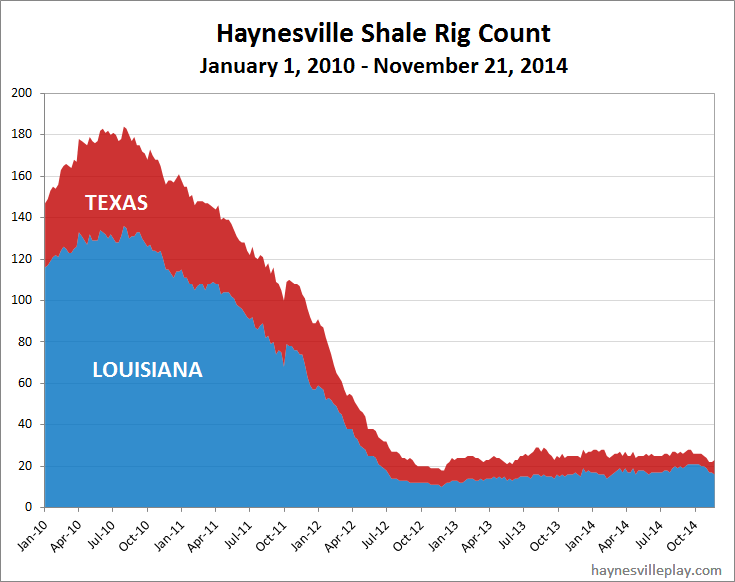 Anadarko moved a rig from LA to TX and added another one in TX, while XTO dropped one. 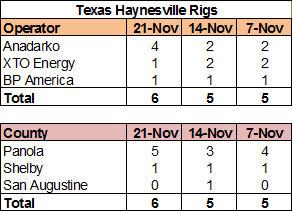 Also, I've been doing a better job of keeping the rig map current, and you can compare current rig locations against those from the past three weeks and - just for fun or agony - against the peak rig count from July 2010.